These days skincare products come in such delicious flavors , that we feel like literally tasting them and not just stopping with external usage. For example, I received a chocolate scrub from Aroma Essentials which is edible and I did taste the Dairy Milk piece that was kept inside it:) So today I have one such yummy body polish from The Body Shop which is not edible though it definitely looks tasty. 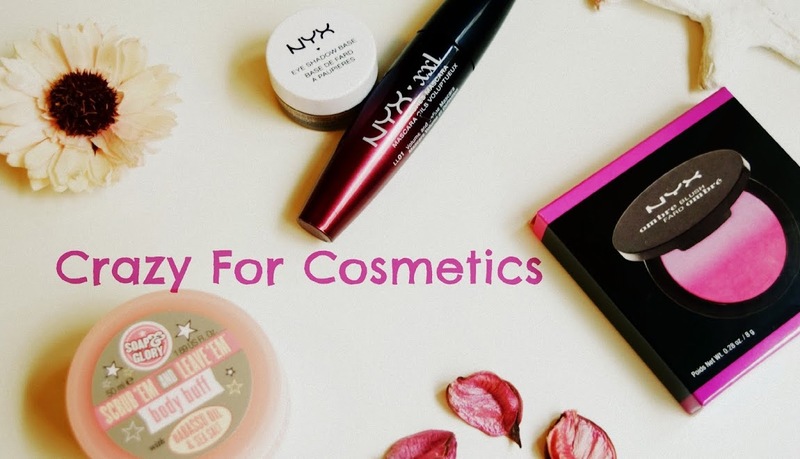 I love floral and fruity flavors a lot when it comes to perfumes & skincare products. I have tried The Body Shop's Satsuma Body Polish before(reviewed here) which has a citrusy flavor and works great for tanned skin. 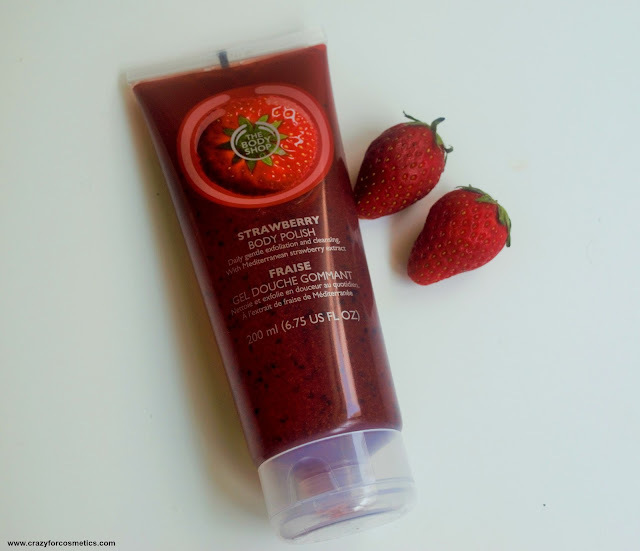 I bought the Strawberry body polish recently(Haul Video here) and have been using it for some time. 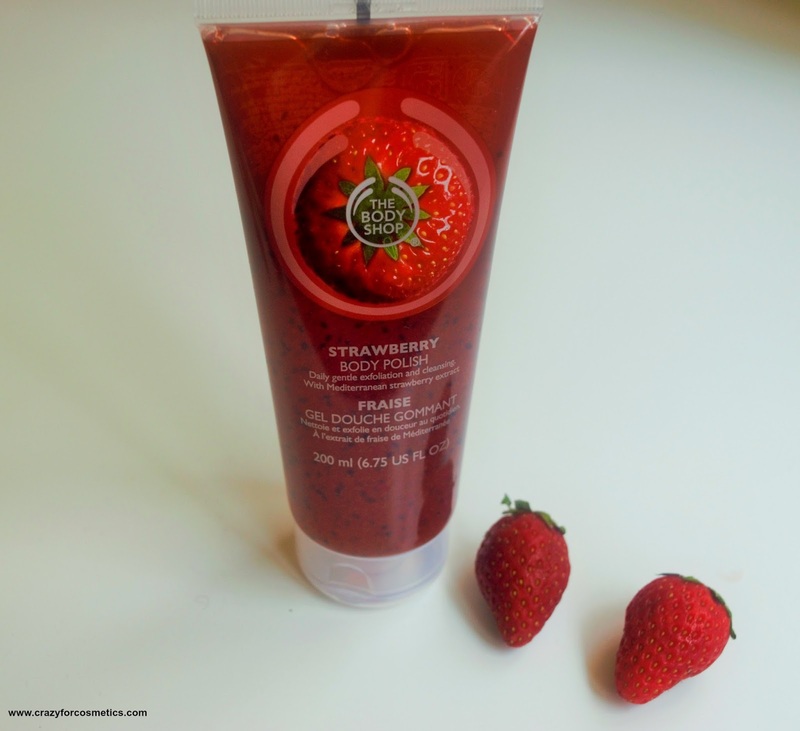 The strawberry body polish comes in a plastic tube which is quite big, but not that heavy. The tube is transparent and it reveals the body polish inside which looks so colorful in red tints with tiny black kiwi seeds. The body polish combines the goodness of kiwi and strawberry which works as a great skin energizer for the summer. 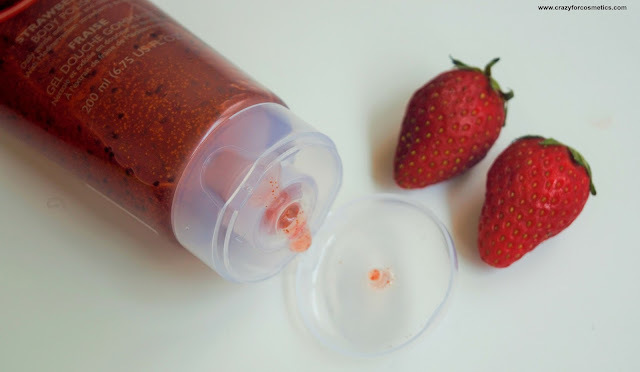 The body polish smells like strawberry ice cream which is so refreshing and it is at times very tempting indeed.The body polish's texture is quite gooey with tiny strawberry particles and kiwi seeds which help in exfoliation. I used a tiny blob of the product on my TBS bath gloves and it lathered so well and was enough for my whole arms and legs. The kiwi seeds help in exfoliation and my skin felt extremely smooth post wash because some rough patches near my elbows have vanished with continuous usage. The body polish gets washed off easily and does not kind of feel sticky like the Satsuma one.I did not notice any reduction in the tanning on my arms which was acquired over years but I did feel the tan on my feet has reduced a bit. 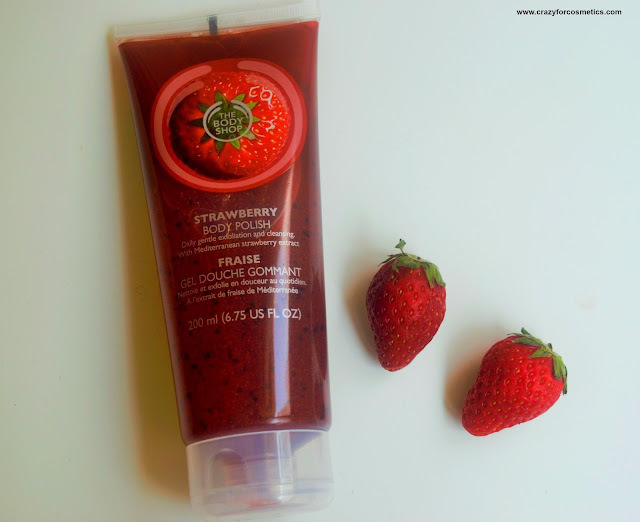 Those who are looking for a decent body scrub that smells wonderful and lathers well, you can definitely opt for The Body Polish Strawberry Body Polish. 3: Contains kiwi seeds for exfoliation along with strawberry extract. 4: Helps in keeping the skin soft & supple. 1: Does not instantly brighten the skin, unlike the Satsuma version.